Love knitting? Love movies? Then you need to join the knitflix circle. 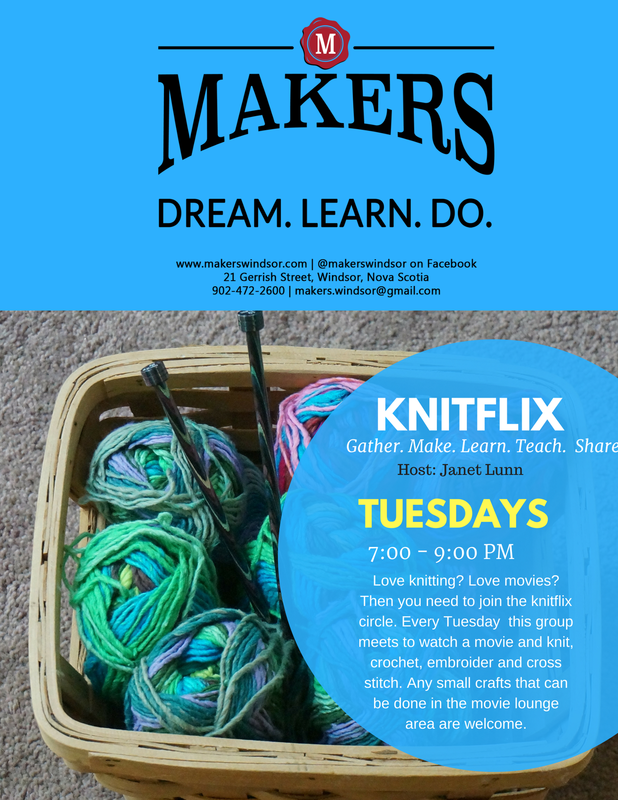 Every Tuesday from 7PM until 9PM this circle meets to watch a movie and knit, crochet, embroider and cross stitch. Any small crafts that can be done in the movie lounge area are welcome. 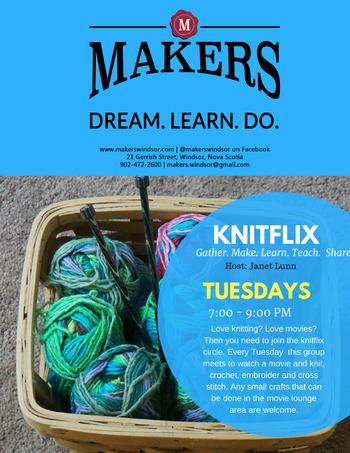 Whether you’re an expert or a novice, this is a wonderful way to enjoy your passion for handcrafts with others of like mind, all the while watching a great movie. What could be better? Free for members, day pass per person for non-members.